The Basanez and Platense clubs have issued statements condemning the violence. Basanez also said it fired one of its players who was part of the attack. Witnesses in Uruguay’s capital testified before a judge on Monday about an attack on two referees by spectators at a soccer match. A male and a female referee were attacked on Saturday during a second division under-19 game between Basanez and Platense. The next day, the Uruguay Football Association cancelled all organized football as referees protested the violence by refusing to officiate. Officials are expected to meet on Wednesday to decide if they will lift the stoppage. Witnesses told Judge Julia Staricco it started after a kid threw rocks on the field with encouragement from his father. The female referee’s partner asked the kid to stop, leading to an argument with other spectators who punched and kicked the referees. An attorney representing the country’s referees union, Fernando de Los Santos, says the officials suffered bruises to their bodies. “There are several people responsible here: The players, especially who are all young in the under-19 category; their parents, and their families,” de Los Santos said. 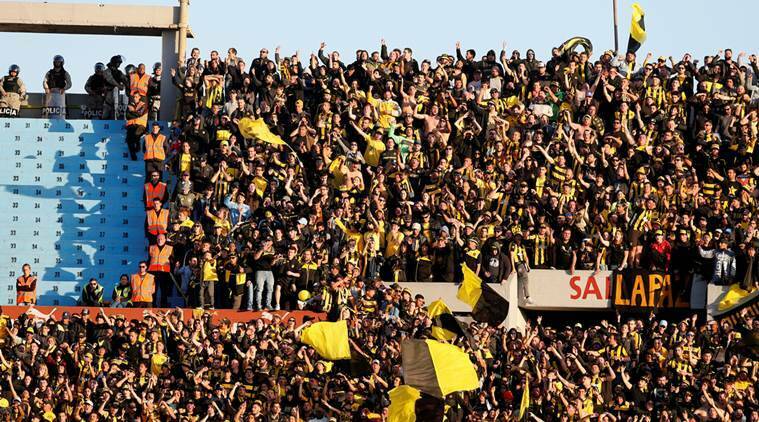 The case is being handled by the same local judge who recently charged three people for violent acts during the Penarol-Nacional derby.